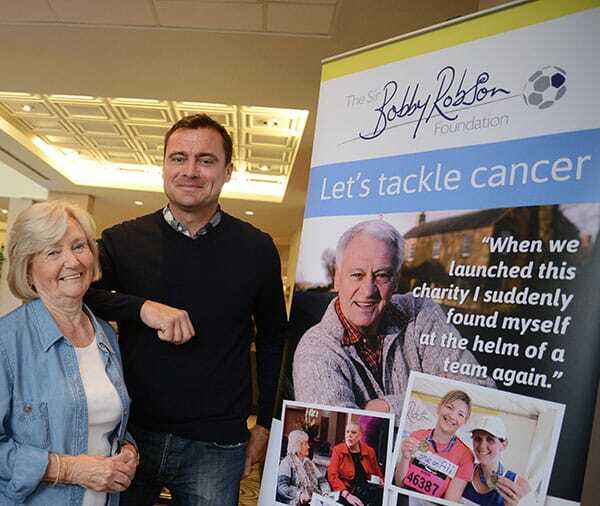 Patients from across the North East and Cumbria now have additional help accessing specialist cancer services in Newcastle thanks to the Sir Bobby Robson Foundation working with Daft as a Brush Cancer Patient Care. By funding a new Daft as a Brush patient ambulance, the Foundation aims to reduce the stress and cost of travelling for treatment at the Northern Centre for Cancer Care, Freeman Hospital, where a range of vital cancer services are provided for the region. Costing £20,000, the new Daft as a Brush ambulance, named Reach for the Stars, is already in use and replaces the original ambulance of the same name, which was part-funded by the Foundation in 2013 and ‘adopted’ by pupils at High Spen Primary School. Lady Elsie says: “This is such a helpful service for people travelling regularly for cancer treatment. “Travel can really add to the stress of treatment and to have that removed is marvellous. And not just for the patient. Daft as a Brush Cancer Patient Care provides a free transport service to and from the Freeman Hospital and Royal Victoria Infirmary in Newcastle for outpatients undergoing chemotherapy and radiotherapy treatment – some from as far afield as the Scottish Borders, North Yorkshire and West Cumbria. 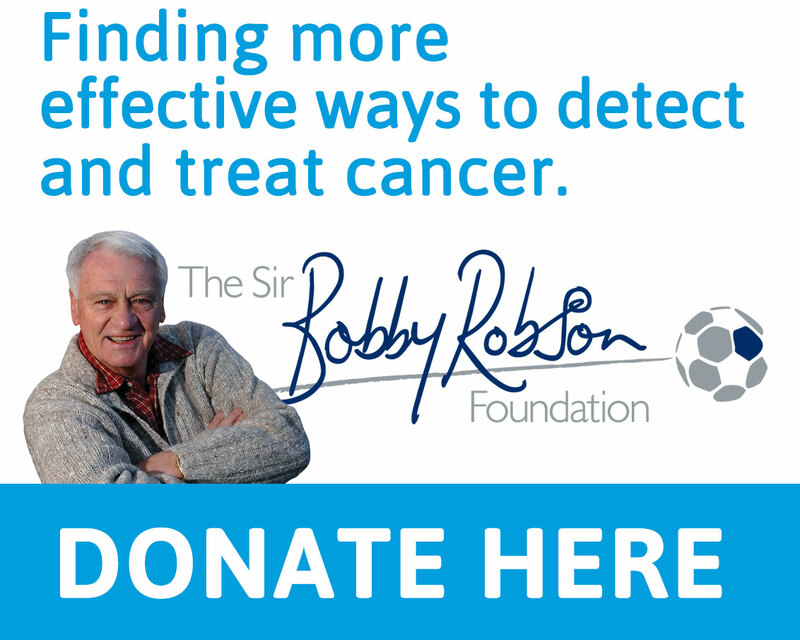 Sir Bobby launched his Foundation in 2008, after a request for help, to raise funds to equip what became the Sir Bobby Robson Cancer Trials Research Centre at the Northern Centre for Cancer Care. Thanks to magnificent ongoing support, it has gone on to raise over £11million to find more effective ways to detect and treat cancer. Colin Costello from South Shields (aged 66, retired process trainer) has been using the Daft as a Brush service daily for four weeks while he receives prostate cancer treatment at the Northern Centre for Cancer Care. Colin says: “Using Daft as a Brush takes all the stress out of getting here for treatment. “The people who give up their time to drive are just brilliant and the vehicles are excellent. Alan Gibson from Washington (aged 70, retired gas engineer) is a volunteer who drives three or four days a week. Alan says: “My wife, Valerie, died of pancreatic cancer five years ago and we asked for any donations in her memory to come to the Sir Bobby Robson Foundation. “Volunteering as a patient ambulance driver is my way of saying thank you for the excellent care she received here and I’ve made a lot of friends through the service. Derek Fordy (retired from John Lewis), also from Washington and a widower, is among the good friends Alan has made among the Daft As A Brush volunteers. Alan and Derek now holiday together and the pair are planning a trip to the USA. Working within the NHS, and in collaboration with Newcastle University and other cancer charities, the Sir Bobby Robson Foundation has contributed £5.5million towards cutting-edge cancer research and treatment, which directly benefits patients in the North East and Cumbria and contributes significantly to international research into the disease. A further £0.5million has been used to enhance cancer patient care. The Sir Bobby Robson Foundation does not employ professional fundraisers to proactively raise money and relies completely on third party, volunteer fundraisers and the incredible generosity of the general public.